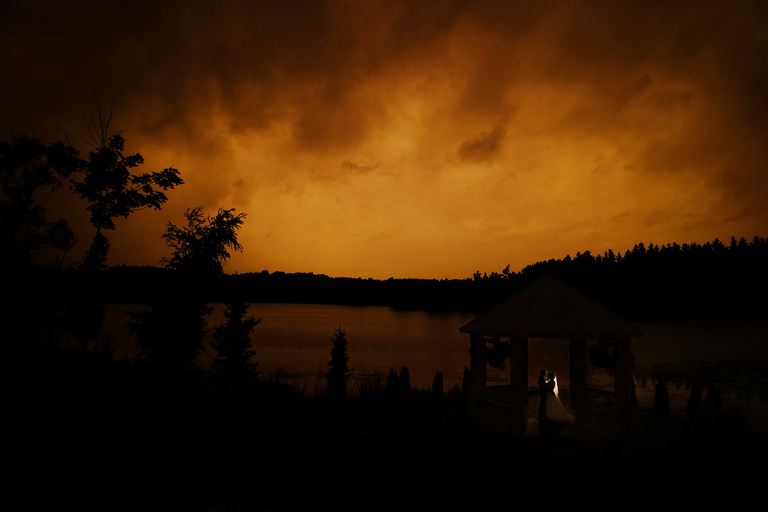 The stormy weather did not affect Kathryn and Greg’s big day today. I recall one of my past brides, Carmen, said something to the effect of my best work is when it’s cloudy. Not sure if that is entirely true, but I do look at stormy conditions as a unique opportunity to create some fun and beautiful imagery like the shot above. Of course, there is no way that I could have created this without couples like Kathryn and Greg, who were troopers and braved the cold and spitting rain we had today. Congrats guys!!! Newly engaged couples who are still on the lookout for other wedding vendors, be sure to check out Canada’s Bridal Directory.